"Wow! I love your nursery!" —everyone who comes over to visit your new baby. 1. A double rocker that will grow with your baby and still be comfortable when they're 2 years old and want to climb all over you during story time. 2. A fitted crib sheet you'll prick up quickly because it's so cute and exactly what your nursery needs. 3. A chic three-in-one convertible crib people will = think you got from some fancy-schmancy boutique (and you don't have to correct them — your secret is safe with me). 4. A simple yet effective changing table with three drawers and a hamper underneath so you can stash those dirty clothes quickly with one hand as the other tries to keep your little one from wiggling away. 5. A tent that works as an adorable piece of decor and will transform into an awesome play area as your little one gets older. 6. A set of hampers you can stash in different parts of the room — or different rooms altogether — because you always need more places to put things when you have a baby. 7. A beautiful tapestry that calms me, an adult human, down just looking at it — so imagine what it will do for your baby. 8. 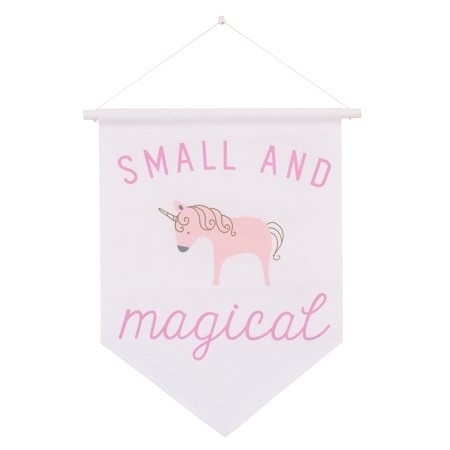 Or some decorative wall pennants that are simple but oh-so-cute! 10. A rocker with midcentury-modern vibes at a ridiculously low price. I mean...this is a great piece even if you're not having a baby! 11. A plush area rug in so many sizes and colors it will work with whatever theme or vibe you're going for. 12. A Winnie the Pooh mobile your little honeybear will love to look up at and be mesmerizing by when they're in their crib. 13. Speaking of cribs: a metal one that looks so regal, I'm *pretty sure* the royal family probably considered buying it. 14. A plush grey rug to add a cozy, soft spot to the floor. 15. 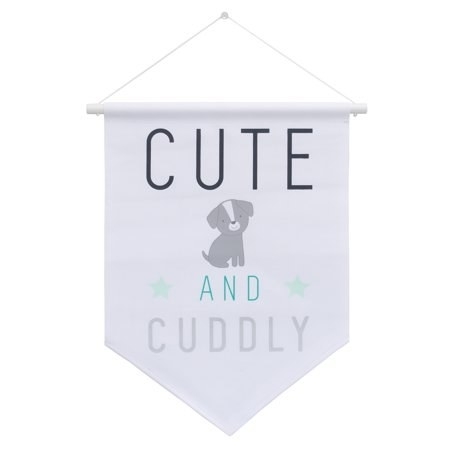 An adorable piece of canvas wall art that won't be a ~stretch~ to fit in with any theme you've got going on, because look how dang cute those little guys are. 16. A table lamp to brighten up the room just a tad bit more. 17. A bookshelf and storage bin combo, because you'll accumulate so much more stuff than you ever thought possible now that you have a child. 18. A mobile that plays a lullaby to help soothe your baby when you're so tired you just want to shout, "GO TO SLEEP ALREADY!" 19. A bookshelf to display all the wonderful books you're so excited to introduce your little one to. 20. A convertible crib and changer combo that's actually a great investment because it transforms into a toddler bed, a daybed, AND a full-size bed (!!) — so your little one can use it until they're not so little anymore. 21. A metallic ottoman with a removable lid, which works as a seat but also as storage to stash all those toys that end up all over your floor. 22. A mini crystal chandelier because your baby deserves all the nice things, even from day one. 23. A two-pack of faux silk curtains to block the haters. 😎 And by haters, I mean the brightly shining sun while your baby is trying to sleep. 24. 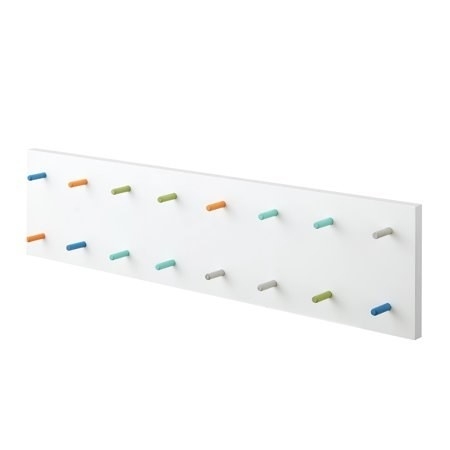 A ladder shelf to artfully display all those random things people gifted you at your baby shower because they thought they "were cute" and definitely weren't on your registry. 25. A three-piece bedding set perfect for any gender-neutral nursery. The set includes one quilt, one fitted sheet, and one bed skirt. 26. 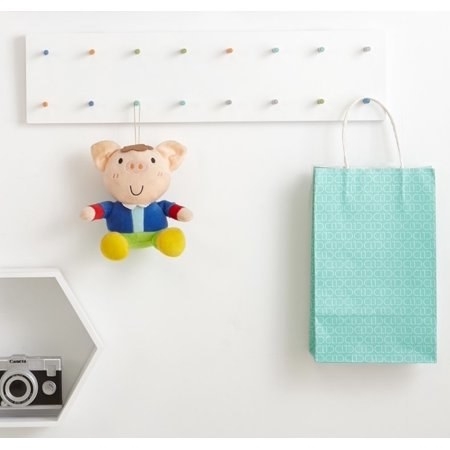 A wooden wall plaque that'll add a dose of subtle color to your nursery and help organize things in the cutest way. 27. And some peel-and-stick wallpaper to bring the night sky into the nursery and help it truly ~shine~.